The popular manufacturer known for SD cards i.e. 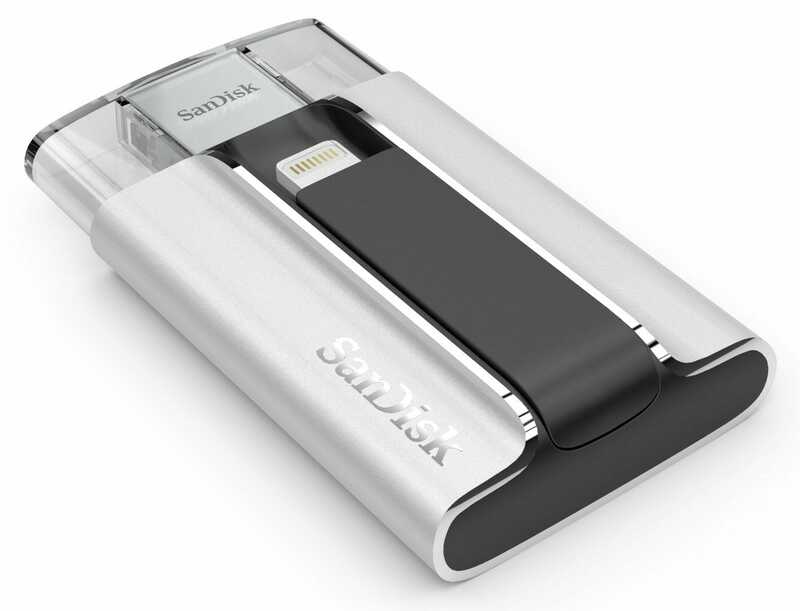 SanDisk has now brought an external flash drive for iPhone and other iOS devices. The device named iXpand serves the role of Lightning enabled USB for iPhone (along with other iOS devices). It connects with computer through USB port. It means you can now share content between your iOS device and computer with ease. 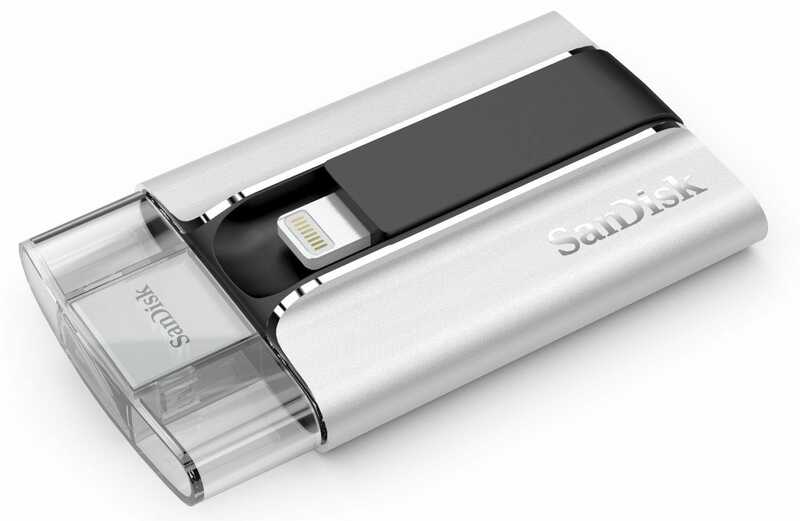 SanDisk’s iXpand Lightning enabled USB for iPhone comes with a companion app to make the syncing and transfer simpler. You can set app to copy photos and videos on device to drive automatically. 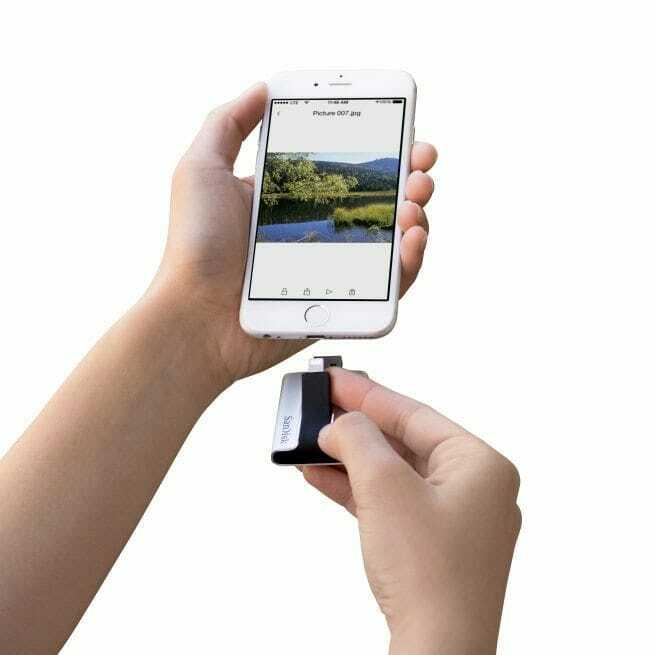 The flash drive will also play music and videos right from your iPhone or iPad. The drive supports following formats: WMV, AVI, MKV, MP4, MOV and other audio and video formats. SanDisk claims its lightning enabled USB to be superfast. It offers 13MB read speed and 14MB write speed at USB 2.0 port. Well, it means if you plugin to USB 3.0 port, it will definitely perform much better. Although, it supports all iOS devices however you will find the label ‘Made for iPhone’ on it. You need iOS 7 or later to use this flash drive. SanDisk iXpand is available in three storage sizes i.e. 16GB, 32GB and 64GB. The 16GB flash drive is available for $59.99 and 64GB is for $119.99 at SanDisk web store. The 32GB edition will go for sale at Best Buy for $79.99 from Sunday, November 16. So indeed, a must have device if you are an iPhone lover! Which storage size will you opt for?